Jimmy Choo's 'Jaimie' sandals are the perfect way to start your new summer wardrobe because they'll go with everything and are comfy enough to wear all the time. 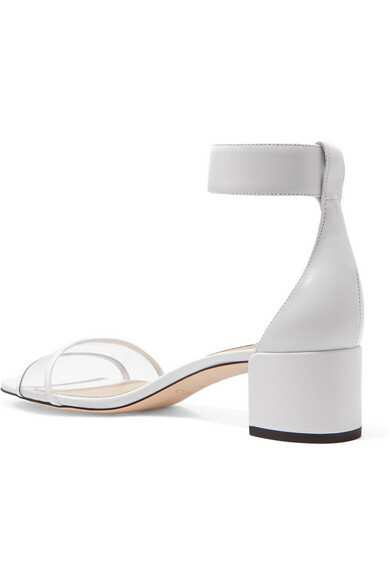 They're made from white leather with a clear PVC strap across the toes that reveals a glimpse of skin. Shown here with: Miu Miu Skirt, Miu Miu Tote, Sophie Buhai Earrings.